Readers of this blog interested in offshore tax havens may want to read this law review article: Arthur J. Cockfield, Big Data and Tax Haven Secrecy, 18 Fla. Tax Rev. 483 (2016), here. The author, a professor of law at Queens University (Canada), dives into a subset of the Panama Papers data and draws some conclusion as to the offshore account secrecy offered by so-called tax havens, both for persons avoiding taxes but also for persons avoiding scrutiny of large sums of illegal cash and assets. While there is now significant literature in law, politics, economics, and other disciplines that examines tax havens, there is little information on what tax haven intermediaries — so-called offshore service providers — actually do to facilitate offshore evasion, international money laundering, and the financing of global terrorism. To provide insight into this secret world of tax havens, this Article relies on the Author’s study of big data derived from the financial data leak obtained by the International Consortium for Investigative Journalists (ICIJ). A hypothetical involving Breaking Bad’s Walter White is used to explain how offshore service providers facilitate global financial crimes. A transaction cost perspective assists in understanding the information and incentive problems revealed by the ICIJ data leak, including how tax haven secrecy enables elites in nondemocratic countries to transfer their monies for ultimate investment in stable democratic countries. The approach also emphasizes how, even in a world of perfect information, political incentives persist that thwart cooperative efforts to inhibit global financial crimes. On April 3, 2013, the International Consortium for Investigative Journalists (ICIJ) announced that it had obtained the world's largest financial data leak. The leak included over 2.5 million documents detailing the tax haven financial dealings of over 70,000 taxpayers and over 120,000 offshore corporations and trusts. This leak had been investigated by over eighty-six journalists in forty-two countries prior to its public revelation, forming what is likely the most comprehensive global journalist collaboration in history. For the first time, the secret world of tax havens was revealed in great detail. The "big data" derived from the ICIJ financial data leak provided journalists and selected researchers, including this Author, with the opportunity to understand how individuals use tax havens to criminally evade taxes, launder illegal earnings, and finance cross-border terrorism (collectively, "global financial crime"). This Article provides a taxonomy of offshore tax evasion efforts derived from the Author's study and analysis of the data leak, with the ultimate aim of providing insights into the incentive and information problems that make it difficult to inhibit global financial crime. While there is now a significant literature in law, politics, economics, and other disciplines that examine tax havens and offshore tax evasion, there is little information on what tax haven intermediaries--offshore service providers such as finance and trust companies--actually do to facilitate offshore evasion. The gap in the writings can be largely explained by the secretive nature of tax haven activities that shielded them from outside scrutiny. For example, the ICIJ financial data leak revealed that offshore service providers were often not complying with international "know your customer" standards, which creates information problems that significantly raise transaction costs for law enforcement authorities with respect to enforcing tax and criminal laws governing offshore tax evasion and other global financial crime. 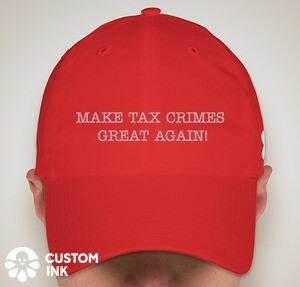 A less explored idea is that the secret world dramatically lowers transaction costs for criminals engaged in these offshore activities--the secrecy effectively reduces certain risks facing tax evaders, international drug launderers, and financiers of global terrorism. A transaction cost perspective can assist with understanding the incentive and information problems revealed by the ICIJ financial data leak. The approach emphasizes the ways that offshore service providers take advantage of information problems to facilitate global financial crime. The ICIJ financial data leak also provides evidence of capital flight from non- or quasi-democratic countries to wealthier democracies such as the United States and other Organization for Economic Cooperation and Development (OECD) nations; it reveals how a small portion of ruling elites in countries such as China use tax haven intermediaries as conduits to invest their monies in stable democracies. The capital-importing countries hence benefit from trillions of dollars of inward foreign direct and portfolio investment, a significant portion of which would not likely take place in the absence of tax haven secrecy. This environment provides a moral hazard for the capital-importing countries, as the current regime in many ways benefits their economies at the expense of the capital-exporting countries. Tax havens, non-democratic states, and even wealthy democracies all face political incentives to pursue the status quo of tax haven secrecy. This Article shows that, even in a world of perfect information, until political incentives change it will be difficult to make any real progress to inhibit global financial crime. This Article is organized as follows. Part II provides context by discussing how tax haven secrecy thwarts the laws and policies that govern offshore tax evasion and other global financial crime. In addition, it explores the role of big data in international tax law analysis and how this data could be used to inhibit these crimes, while recognizing that unique national privacy laws present a barrier to enhanced cross-border tax and financial information exchanges among governments. The ICIJ data set offers a glimpse into the normally secretive world of offshore tax havens. Part III discusses how this data set differs from prior tax haven data leaks, as it provides for the first time detailed documentation of tax haven financial dealings over a roughly thirty-year period. In addition, the ICIJ financial data leak provides evidence of capital flight from certain countries, as well as how taxpayers use offshore corporations and other business entities to facilitate global financial crime while appearing to comply with all relevant domestic and international laws. Part IV offers a taxonomy of offshore tax haven behavior revealed by the ICIJ financial data leak, including how individuals move and invest illicit proceeds via non-resident corporations and trusts with the aid of offshore service providers. An example involving Breaking Bad's Walter White and his efforts to launder illicit proceeds from crystal meth sales is used to assist the reader in understanding how offshore service providers facilitate global financial crime. Part V outlines how information and incentive problems promoted by tax haven secrecy (and revealed by the ICIJ financial data leak) inhibit the ability of governments to meaningfully enforce their tax, criminal, and other laws governing global financial crime. A final Part concludes. The ICIJ financial data leak represents the first time where financial dealings normally hidden in offshore tax havens have been revealed in great detail. By relying on analysis of a small portion of the ICIJ data set, this Article offered a taxonomy of offshore tax evasion behavior to promote an understanding of the ways that offshore service providers (i.e., trust, finance, and other offshore financial service providers) help individuals circumvent national and international laws to engage in global financial crime. By taking advantage of tax haven secrecy, these offshore service providers at times help taxpayers move their monies offshore in an undetected fashion, and assist with the setting up of offshore corporations, trusts, and other business entities to launder or "normalize" the illegal income so that the funds can be invested and eventually brought back home. The analysis promotes a deeper understanding of the policy challenges presented by tax haven secrecy with the goal of informing more effective legal and policy responses. The complex regulatory environment that surrounds global financial crime is normally studied within discrete doctrinal areas of law such as tax, criminal, banking, and anti-terrorism laws. Similarly, institutional arrangements that have arisen to support these laws--separate government agencies, including tax, prosecution, law enforcement, antiterrorism, and intelligence services--also mainly exist as distinct spheres. This Article showed how a more integrated policy response could help fight global financial crimes that regularly cross boundaries among these different legal regimes. Still, an effective legal and policy response is difficult. The ICIJ data leak shows how asymmetrical information promoted by tax haven secrecy makes it challenging or impossible for authorities to successfully investigate and convict offshore tax cheats, international money launderers, and financiers of global terrorism. The big data leak also helps to reveal incentive problems that inhibit meaningful global progress. Tax havens rely on tax haven secrecy to promote economic growth in their financial industries. Non-democratic or less wealthy countries use tax haven secrecy to provide an outlet for elites to transfer their assets and income abroad. Finally, wealthier countries with stable economies and a credible rule of law often benefit from the inward investment from these elites. With respect to tax haven secrecy, governments are faced with different and often conflicting incentives according to their historical, political, cultural, and legal evolution, including different views on financial privacy laws. These perspectives underscore the difficulties in making real progress with respect to reducing offshore tax evasion and other global financial crimes, given the historic and current incentives that help to explain the existing international financial system and its governing international law regime. All of these factors serve as barriers to effective global reform. While big data provides a potential tool to assist in investigations, history and path dependence reduces the likelihood of progress at both the national and international level. Even in a world of perfect information, current political incentives promote the maintenance of the status quo of tax haven secrecy. Until these incentives change, it may be difficult or impossible for global reforms to reduce global financial crime in any meaningful way.